Think of us as the ultimate Rolling Party. Think of us as the Instant Date-Maker. 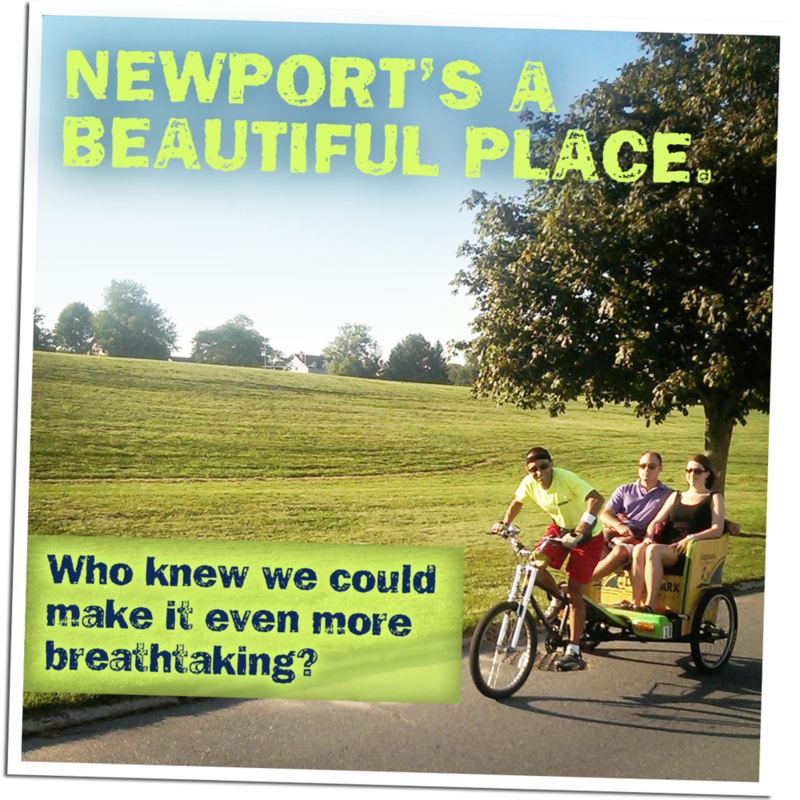 Think of us as Newport's Giggle-Wagon. See as a cross between getting somewhere and getting silly. It's not just getting around the city, it's also getting immersed within it. 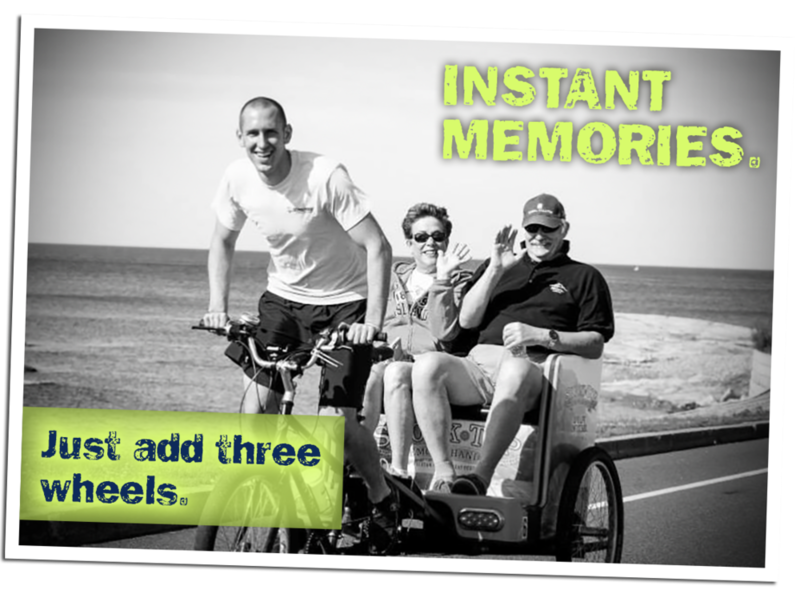 That's why you might say taking a ride with Newport Pedicab is as engaging as the cityscape itself! Of course, in a town like Newport we are sometimes the fastest thing on the road. Since Newport was originally a small town traffic doesn't always flow in favor of whoever has the biggest engine, making our trikes sometimes the best way to roll around. But we're not in this for speed; we're in this for smiles. While it's our pleasure to sometimes be your fastest and most reliable choice for getting around Newport, we're always your most fun choice. And it's not simply riding and smiling. 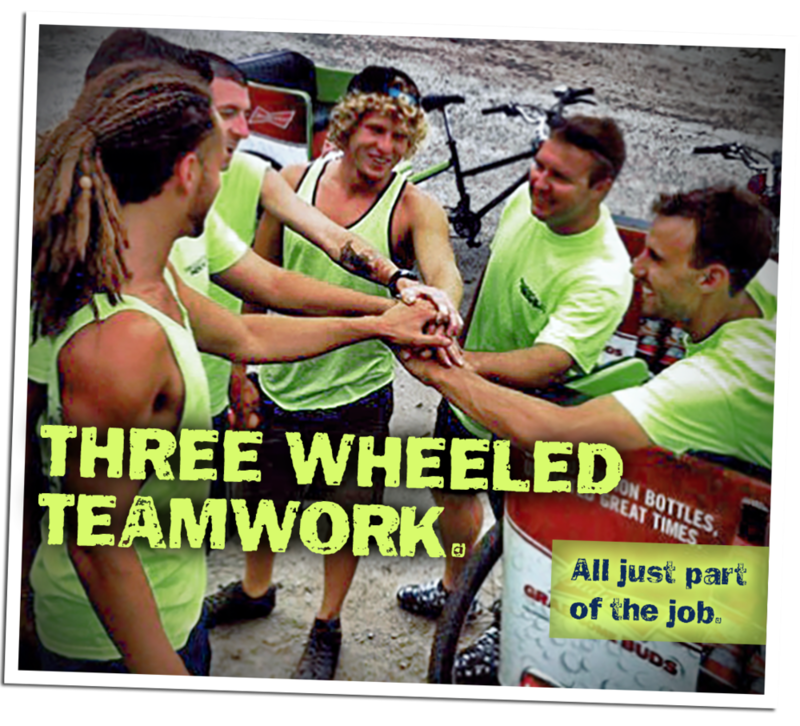 Our tours are enlightening and unique, featuring both the facts and the local buzz about where we're rolling, Our wedding rides are clever and classy, from wacky bachelor/bachelorette party rides to cheerful and charming pre-reception shuttles. 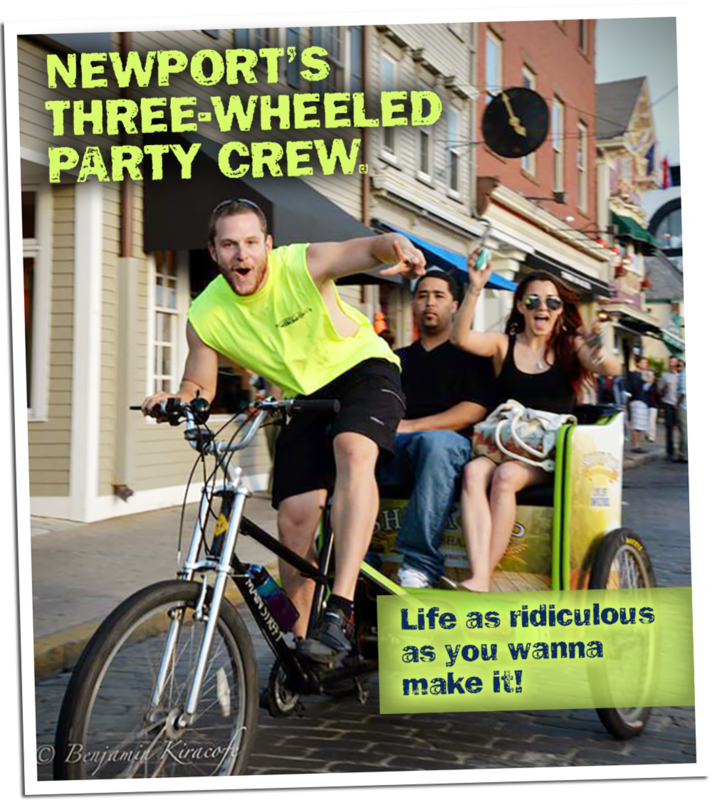 And even Newport's business world get's on board, with corporate parties, event rides, and conventions. All the way across town or just down the block, when was the last time you turned a trip through Newport into something to remember?